This past year has been a ministry journey that has been unparalleled in my life up until now. That is not to say that it has been the BEST year of my life or the MOST Valuable year. That spot is reserved for my 33 years of marriage to a wonderful man (HAPPY BIRTHDAY WEEKEND with the kids HONEY!!!) that I have been blessed to survive and enjoy! Along with the gift of my family and the precious friends that God has blessed me with. However, God, in His goodness, has allowed me to experience the most amazing past few years of ministry that I could have ever possibly dreamed of or envisioned in my own mind....and I, am a VISIONARY!!!! Just ask those friends and family!! I can dream me some BIG dreams! The verse in Ephesians that says God will bless us with us more than we can ever hope or ask for has been my mantra for many, many years. This year, as I have traveled around the Nation speaking at woman's conferences and serving leaders in ministry to women, I have been filled up so much that sometimes I can barely take it all in. This past few days has been more blessing overload and has placed me in a position, yet again, of speechless awe of who God is and what He wants to do in each of our little lives. I left my home on Tuesday with a sweet ministry friend who flew in from Texas to attend "She Speaks", a wonderful speaking and writing conference sponsored by my friends at Proverbs 31 Ministries. We met up with another girlfriend on Wednesday and the God moments continued. We have encountered the presence of God at every turn of our road trip. Last night, three of us sat around our computers to BLOG. That was AFTER they taught me how to use my new IPhone and how to TWITTER!! Check out Traveling the Road Home and Sincerely Paige for some trip details. As for me, as I have considered blogging about some of the fresh revelation that God has shown me, I find myself without words. I was so frustrated cause I WANT TO TALK!!!! Words would just not come. A scripture that I treasure in God's WORD was when Mary discovered her pregnancy with Jesus, her response was to "ponder these things in her heart". I am not a great "ponderer". In my excitement over the things God shows me or does in my life, I am sometimes way to quick to TALK--SPEAK---TELL. God clearly showed me that I am to "ponder" some of the revelation that He has poured into my heart over the past few days. So, today, the 3 of us God Girls are off to LISTEN at "She Speaks"! I can not wait to hang out with the many other girlfriends I have recruited from around the Nation to join me this year, to hug on my P31 Sisters and my Lifeway buddy, Jennifer Rothschild. Fun, Fun, Fun! Mischief is in the House....Somewhere!! I promised you a funny story today so here goes! We had the fun, although exhausting, joy of having one of our G's girls spend the night this weekend. This little sweetheart is the 5 year old "Big Sister" of our youngest son's crew of 3. After a fun day/night of swimming, roasting marshmallows, planting flowers, eating hamburgers off the grill, playing house with a tiny frog, reading books and watching a late movie we fell into a coma/sleep at 11 pm on Saturday night. Sunday morning we were SLOWLY making our way through our routine of getting ready for church. The plan was, I was taking her to meet her Daddy and Mommy for their church, and we were heading the other direction to ours. As honey and I were getting ready, our little G-Darling was in and out of EVERYTHING!! EVERY MINUTE!! Once honey got out of the shower and got dressed, her territory expanded into our bathroom/bedroom. We were all busy about our preparation for church when we began to hear a VERY loud noise that seemed to be coming from outside our bathroom window. We thought it was coming from the house next door. It sounded like someone was doing the lawn or possibly pressure washing the house. We thought it seemed to be a bit odd on a normally quiet Sunday morning but we continued our routine of getting ready . After awhile it became so irritating that I was getting grouchy about it. I made my way to a window in our home that would allow me to investigate the noise to see what in the world our neighbor was up to. To my surprise I saw that NO ONE was outside. The yard was empty and quiet. I went outside to check our our outside AC unit to see if that was it....NOTHING! I checked out our pool pump for a breakdown....NOTHING! I went back into the house and the noise was still blaring, almost unbearable. Honey and I searched high and low trying to figure out the noise until we came to the conclusion that it was IN THE PIPES! IN THE WALL!! We were very concerned that a pipe had broken inside our bathroom wall behind the shower! YUK!! Not a good start for a Sunday! I went ahead and finished getting dresses to meet my son with our G-Girl as her "busy-ness" was a bit of extra distraction while we were dealing with visions of water filling our walls. I secured her in the car seat and headed out to meet her Daddy as planned a few miles from our home. We moved the little darling from my car seat to his and off they went in one direction with me in another heading back home. "She has to go back home pumpkin, she and Pop have a noise that they are looking for, they think a pipe broke in their wall"
"Oh no Daddy, that's not a PIPE making that noise! That is G's face scrubber!! I turned it on and put it back into her bath basket on her bathtub and it is making lots of noise!!!" My son immediately tried to call my cell phone, which I had left at home. He then called his Dad who was standing at the door waiting for me when I arrived back home to our EMERGENCY!! As soon as I walked in, I realized, the house was silent! That brilliant man of mine had FIXED THE LEAK!!!??? Yes, he "fixed" it alright.....He began to tell me how! Our little CUTIE had turned on a "Dove" battery operated face scrubber that I keep in a cute metal basket on the side of my bathtub. She turned the switch on and put it back in the basket!!! It was hidden behind the Bubble Bath and the Shampoo...BUZZING TO BEAT THE BAND!! All of the in and outs of the bathroom, in and out of the house, discussions, mystery and madness of the morning had been the ENTERTAINMENT of that VERY SMART little G-Girl! Honey was a bit miffed at first but I just BURST OUT LAUGHING!! Apparently that is what our son was doing when he told his Dad. I was actually a bit of a proud G-Ma at her brilliance. Not only with her little game but also the fact that she KNEW what direction I should be driving to go to my church! I truly feel that she had no idea all that was going on around her little stunt. I think she got distracted and went on to have a TEA PARTY with her dolls which is what she was doing while the mad search was going on! Oh my.....You just gotta love 'em!!! Otherwise, you may give them to the neighbors!!! "Sweet Tea" has provided my family with a brand new teasing opportunity for me. Yesterday, I realized how true it is that I am capturing LIFE, mostly the fun parts, right here on my blog. I love that about this. I have kept a prayer/spiritual journal for 25 years!! I have about 50 spiral bound notebooks put away in a safe place that have recorded my prayers, my spiritual journey, Bible Study notes and questions (or sometimes my version of answers) for God. They truly reveal the good, the bad and the ugly of who I am inside and what God has done to change my life. I often wonder, when I am gone, what will happen to them? Will anyone understand my short notes and half thoughts? Should they be buried with me? Should they be buried NOW?? I still keep my prayer journal but blogging has provided an new kind of journaling. On "Sweet Tea" I have a place to express the truths that I see in everyday life. A place to re-live a sweet moment. A place to describe a special place, event or encounter. A place for photos of people and places I love. I truly love this. "Sweet Tea" is like my journals but a place to publicly proclaim the joyful journey of the day to day, ABUNDANT LIFE that Christ provides. My spelling and/or grammer may not always be the best since most post are typed on the run but my heart is always in each one. "Sweet Tea" does what Sweet TEA does, It provides a place for me to hang out for an extra moment, to savor the SWEET things that happen each day or maybe something much "deeper" like....does this paint color work! After a year, it has become part of my world. A fun part. A Hobby of sorts. A resting place. A place of worship and a place of praise. I love that I have a few friends like you, who frequently stop by to enjoy "Sweet Tea" with me. 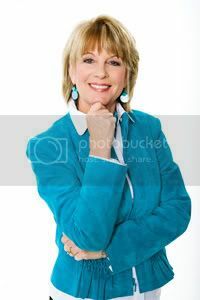 There a BILLIONs of blogs out there so I am honored to have you visit and especially when you say hi or stir me on, with your comments about a particular post that has blessed you! Come back tomorrow to hear the FUNNY details!! You will love this story! I promise!! At 10:30 last night, after arriving back home from Julianna's 21st Family Birthday Dinner (that included one very special friend), I quickly checked my email and popped a note on facebook about how completely blessed and FULL I was. I really felt like it was ALL of our birthday!! I had ALL (can I repeat that..ALL!) of my children and grandchildren together in one place with me and my honey! There is NOTHING!! that tops that for me here on this earth! Julianna's choice for this historic event was "The Columbia Restaurant" at St Armands Key, Flordia. It is about a one hour drive from our home and well worth the journey. A Panoramic drive over the Sunshine Skyway Bridge connects us to the sparkling aqua waters of the Gulf of Mexico and is truly a GIFT from God to each of us. It is a MUST see for everyone especially at sunset. Julianna's birthday request was a family dinner at Columbia to be followed by a walk around St Armands Circle with some SHOPPING MONEY!!! "What is a 1905 Salad?". So here goes a little history about the amazing "Columbia" Restaurant". The Columbia was founded in 1905 (Hense the name of the Salad (DUH!) in our own Tampa's famous Ybor City by Casimiro Hernandez Sr. After 25 years of fame and food, Casimiro Jr built the FIRST air conditioned dining room in Tampa complete with an elevated dance floor. (Honestly, it was only right to have some options for exercising all that food off!). 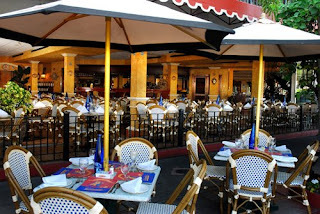 They also added their trademark Patio Dining influenced by the courtyard restaurants found in Andalucia, Spain. One of my favorite things about the decorations of the Columbia is the colorful mosaic tile that is used everywhere including the dishes. St Armands Circle was the 2nd location for the Columbia, followed by the Historic District of St Augustine, the Pier in St Petersburg, Sand Cay on Clearwater Beach and Celebration in Orlando. The Columbia has been featured many times in "Southern Living Magazine" and has lots of awards and plaques of appreciation on their walls that proclaim their success. It is truly a dining as well as a history experience to visit. Although everything is good, Honey and I pretty much have the same ting every visit--1905 Salad, Spanish Bean Soup and Hot Cuban Bread and butter! Here is the recipe for 1905 Salad. Someone at the Tampa location shared it with me years ago before the sharing was legal! I have made it many times and it is worth the work. If I have not made it clear enough by now, let me just encourage you.....when you come to Florida, find one to visit!! It is a dining experience!! Just because I am so nice, I won't even talk about the Butter Pecan Coke Float that I had at Killians Ice Cream on the Circle for dessert (hehe!). The prize moment of the night was watching every one of my "G's" all eat freshly made ice cream cones that dripped down their faces. It made me slip into a corner and thank God for excuses to gather them all together!! All my kids chimed in after this photo was shot...."That one will be on the blog". They know me so well!! Add dressing to salad and toss well. Add Romano Cheese and toss one more time. Serves 4! OK it is not really my birthday today. It is my baby girls Birthday. She is 21, Heaven help Me! My beautiful baby girl has become a woman. She is sensitive, intuitive, tender hearted and kind. She is a very loyal and supportive friend. She loves her home and her family and she loves music! She is the most beautiful daughter in the whole world, to me. But most importantly, she is alive!!! My Julianna was born at 22 weeks gestation. She weighed in at a whopping 1 and 1/2 pounds and was 10" long. Her entire body fit into the palm of my husbands protective hands. Julianna was a surprise birth to a beautiful young teenage girl who was completely unprepared to be a mommy. She made the most unselfish choice that a mother can make to insure life for her child. A life that she was unable to provide herself. I have loved and honored Julianna's birth mother so much for the past 21 years that soon after Julianna became our daughter, I began to dream of serving the brave women who choose adoption over abortion. I was not one of those brave women. When I was faced with an unplanned pregnancy, I choose the lesser way out. I chose abortion. Just a few months ago, my dream came true and our ministry added a licensed adoption agency to our family of services called "The Woven Basket". Julianna's youngest brother Andy, who works in my ministry, attended one of our first adoptions this past week. He called me on his way home from the hospital after being invited to be present during the moments when the birth mother presented her newborn baby to his new parents. My son could barely speak as he attempted to explain the bittersweet beauty of the process. He described the sweetness of God that filled the room. He described the prayers that each of them prayed for the new baby and the new family that God had put together for him. He described the love the adoptive family expressed for the birth mother and the love that she shared back with them. I was falling apart in my kitchen just hearing Andy describe the scene. I have experienced those precious moments. 21 years ago God placed a newborn baby girl in my arms. The Doctors said, she will probably not live. The Doctors said, if she does, she will be severely disabled. The Doctors said, she will may be blind, not able to hear, not able to thrive and live a healthy life. My husband and I used to go back and forth to the hospital several times a day to visit our precious daughter during the 3 long months before we were allowed to bring her home. We went there to pray for her. To Touch her and sing to her. We went to be her Mommy and Daddy. We would place our hands upon her, when our hands mostly covered her entire body, and we would say what God said! Julianna, God says, He knit you together in your mothers womb. Julianna, God says, you are fearfully and wonderfully made. Julianna, God says, He has a plan for you and it is good and not evil. Julianna turns 21 today. The Doctors were wrong and God was right!! Happy Birthday to you my darling daughter! One of the many things that I have learned as a Mom is that our kids do not always want to hear what we have to say!! I wish that I could say that I have "mastered" this wonderful truth but after all of my years of practice, I am still getting this one wrong. There are STILL times, as the mother of 3 grown children (my baby turns 21 this week!) that I mess this up and let my mouth run ahead of my brain, or worse, my prayers!! I always feel justified since I know that my motivation is 100% pure. I want to keep my kids from getting hurt, making bad choices or hurting others. But is it really??? Is my motive always pure? Aren't I sometimes motivated by my desire to get my way? Have them do what I want them to do? Sometimes, I think that I am trying to PROVE God to them by telling them what HE wants as opposed to allowing them to discover what He wants for themselves! As if He needs me to stand in for Him. I remember the time that our middle son Andy broke His arm at the park behind our house. I threw him in the car to rush to the hospital, and then I remembered some newly learned Bible verses and swung the car into a parking lot and slammed on brakes. “Andy” I said, we need to pray and God will HEAL your arm, Andy looked down at his crooked arm and looked back up at me and said MOM---God wants you to take me to the HOSPITAL RIGHT NOW!!! Andy was much smarter than I was that day. “RELEASE” is a big word for a Mother isn't it? Sometimes, it feels impossible. There are so many times that we are called to RELEASE our children to God, let Him do the work in their lives and PRAY! PRAY! PRAY! instead of Say! Say! Say!!! We sometimes have to Release when they fail. Release when they make wrong choices. RELEASE when GOD is working! Sometimes, we have to just Pray and Not Say! Today reflected on a sign of the times in my life. 10 years ago I would have never said the words that I am about to write. I have spent a very good part of this day cleaning out my computer documents file and updating my speaking calendar! It used to be my closets that got in this condition. Now it is my hard drive! Anyway, during that process I came across this document with a note at the top that said "Blog Article". The next "sign of the time" is that I have no idea if I wrote this or if I FOUND it somewhere so if you read it and you WROTE it, be sure to let me know and I will gladly give you the credit. I read today in Genesis 3, where Adam and Eve sinned against God. Verse 7 stood out to me: "...they strung fig leaves together around their hips to cover themselves" after they'd eaten from the forbidden fruit. Fig leaves around the hips, eh? I can almost see the couple cowering in an orchard, trying desperately to string the greenery before God shows up for their daily walk in the park. Their hands are shaking and sweat beads are forming on the foreheads. They know they've done wrong, and they know their actions have built a wall between themselves and God. And so they try to cover up, to pretend that every-thing's okay. Unfortunately, it doesn't work. God walks onto the scene knowing full well what His kids had been up to. He speaks with them to make sure they understand the seriousness of disobeying Him, He levies the consequences for what they've done, and then...I love this part...He provides a cover-up for them. Big difference between the first and second cover-ups! The first is flimsy, inadequate, and manmade. The second is crafted by God's hands and covers the nakedness completely. More importantly, it's made from animal skins, which require a blood sacrifice. This cover-up is sufficient. How many times do we sin, and then try to set things right on our own? We string fig leaves together -- using flimsy excuses to cover our tracks -- but our feeble attempts don't work. God knows what we've done, and, because He loves us and wants nothing to interfere with our fellowship with Him, He has provided the perfect cover-up for us. Like the animal skins that covered Adam and Eve, this one covers us. It, too, required a blood sacrifice -- the blood of Jesus Christ. And it's sufficient. Nothing else is needed -- just our willingness to accept the gift of God's cover-up for us. What an amazing proof of God's love for us! ps...no "goodies" box yet but stay tuned! Wow! Do I have some Goodies For you!!! It has been a week since I last sat quietly with "Sweet Tea". I am so blessed by those of you who return to visit with me here and take the time to leave a sweet comment or prayer. You bless my heart and encourage me on. I am just getting settled back into my home after being away more of the past 4 weeks than here. I have never traveled so much in my life but God has me on a fast track for building air miles. He has provided a sweet combination of fun and ministry and I am very grateful and blessed. If you have followed "Sweet Tea," as I know MILLIONS do...you know that my last adventure was spent at the International Christian Retail Show. We had a BLAST there shopping for new books and baubles for the ministry but the best thing was gathering 3 FULL boxes of FREE BOOKS!! If you are a book lover like I am, you understand the THRILL of being the first to hold the FIRST copies of the newest Christian releases (and most are AUTOGRAPHED to boot)!! I have Fiction books, Bible studies, books for the home, books for the teen and books for the man. I have kid books and Devotionals. Books! Books! Books! Just waiting to come your way!! New book releases are one thing but books that are inspired by God to be released into the greedy (in a good way) hands of His Bride, takes this event to a whole new level. However, in my heart there will NEVER be anything like the fresh cover and pages of a brand new book. I have been reading to my kids since they were babies and now I love to read to my Grandkids (or for those 2 who no longer fit in my lap, buy them new books). I have a few new ones autographed especially for them! These guys are coming your way AJ and Jacob!! No matter how hard I try, I just cannot get a vision of cuddling up with one of my little ones with an EBook or a Kindle! My boxes will arrive any day now so if you will take a minute to share what your favorite book of all time is or why you LOVE books and are praying for the Christian Booksellers of this Nation to stay strong, I will put you FIRST Place in my Give-AWAY drawing. In the meantime---I need to figure out how to get "Mr Linky" on here cause I have LOTS of Giveaways coming your WAY!!! Anyone who can direct my steps with that gets signed up first!! you are clothed with splendor and majesty! I feel like my senses have been on overload for almost a month now. By divine appointments, God has allowed me the amazing privilege of traveling from the clear Gulf waters of my side of Florida to the roaring Pacific coast. As I watched those HUGE waves slam into the ragged rocks of the California coast, I was STARSTRUCK! When we really stop and consider the splendor and majesty of our God we have no place to go but our knees. Now, within just weeks, I have found myself gazing each morning at the gigantic, breath taking, snow capped peaks of the Rocky Mountains. As amazing and praise inspiring as God's creation is, in both of those places, it is the PEOPLE of God in whom HE Has Chosen to place His very Spirit!!!! His anointing, His Name! This is the beautiful group of ladies who attended our "Surrendering the Secret" Certified Leaders Training in Modesto, California minus a few who escaped before the photo! This is 1/2 of my class at the Lifeway Women's Ministry "Fully Loaded" Training in Stockton,California. This is the other 1/2!! These beuatiful Jewels joined me for a day of mountain majesty in Estes Park, Colorado. To my left is a long time sister, Martha, who helped me start the ministry of A Woman's Place over 22 years ago. She has since moved to Denver and was my precious tour guide through the mountains. The one next to her is Trisha Heflin, a STS National Trainer who helped me with the Denver training and next to her is Sheila, Trisha's BFF from Texas. We talked about God and His goodness for 8 solid hours!!!! We honestly did! This is God's precious jewel, Susan, who was our STS Training sponsor at Northern Hills Christian Church in Denver. If you live anywhere close and do not have a home church, this place ROCKS!!! This is our new team of STS Leaders in Denver!! They are amazing and raring to go! This morning, I am sitting in my Denver hotel room taking it all in. My personal assignment today is to write! I have lots of deadlines and writing goals but I always seem to be drawn to places of PEOPLE instead of PAPER! Pray with me if you will Sisters, that God will help me see your faces on my laptop pages. After all, YOU are His Bride!!! I guess all of the travel in my life lately has caused me to think in terms of packing and unpacking, checking in and checking out, loading and unloading!! Since my last post I have traveled back home from the West to the East, had just a few days to love on some G-babies, catch up on emails, attend to some local ministry work, pay my bills, have dinner with some family and some friends, and clean my house! Today, I am REPACKING to head back to the WEST!!! I really don't have time to sit at my computer but I have something taking shape in my heart so here goes my best attempt at capturing it in a few minutes. I am the kind of person who has always filled up any blank space in my life but this year has taken the cake, so to speak! I have traveled more this year than probably all of my entire lifetime combined! In some ways, it has worn me out. At the same time, I have experienced some amazing blessings, met tons of new brothers and sisters in Christ and seen God at work in so many lives and situations that I continue to melt in His presence. God has allowed me to watch Him Heal Hearts before my very eyes!! I remember when we got our first Ultrasound machine at A Woman's Place Ministries, the crisis pregnancy center where I work. 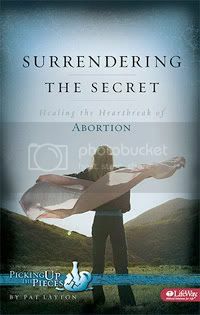 I saw how God literally opened, what we refer to as a "Window to the Womb", for young women who are facing an unplanned or unwanted pregnancy and how their hearts were turned to "CHOOSE LIFE" (Deut 30:19) right before our eyes. It was, and continues to be, an amazing blessing. We have seen Him do that over 220 times so far this year!!!! Praise His Mighty Name! Now, God is showing me more of the same thing just in a new way. He is allowing me to watch Him open a "Window into HEARTS" as He goes about His business of healing broken ones and showing us the way to CHOOSE LIFE!!! The one He promises in John 10:10. The thing is, God does not do His work in a vacuum, or a tunnel, or in any one person at any one time. He is Sovereign! He is Omnipotent! He is Omni Present! He is yesterday, today and tomorrow. He is here. He is there. He is everywhere!!! God is SO BIG and SO, SO, SO........(trying to capture a big enough word here)... LOVE!!! He cannot be contained. As He works on one person, He is doing many things with everyone else around at the same time. As I have been privileged to be in the same place, at the same time, that God is doing a work in the hearts of women around me, my heart is being worked on!! Just when I think I may have gotten rid of some EXTRA BAGGAGE in my life, I experience an ULTRASOUND of the heart and some JUNK is revealed!!! On our last flight to California, my honey was loaded up with the "extra" stuff that I could not fit into my suitcase. We were going to be gone for 2 weeks for goodness sakes! I girl has STUFF!!! When he went to check his bag, sure enough, we had an overload and we HAD TO PAY! That baggage cost us something! Yesterday, I had a heart reaction to something going on in my life, something PETTY, SILLY and not even worth talking about here. My behavior had to do with BAGGAGE---Not people! I saw some BAGGAGE come to the surface of my heart that needed to be dumped or I was going to have to pay! Jesus said in Matthew 12:33-37 that what comes out of our mouths reveals what is in our hearts and that by our WORDS we will be acquitted or condemned! He also says in 1 John 1:9 that is we confess our sins we are forgiven and purified!! So before this next trip, as a matter of fact, immediately upon becoming aware of my overload, I DUMPED my confession upon the Lord and ask Him to take that junk!!! Thank you Lord for your Free---No Charge---Handling of our Extra Baggage!! Now, I have to go pack---for Denver that is!! !